Nine Network and Fairfax sent shockwaves through the media industry yesterday after announcing the companies are merging to become Australia's biggest integrated media company. The $4 billion merger represents one of the biggest moves in Australian media history. And while the merger needs approval by the Australian Competition and Consumer Commission (ACCC), industry experts say the changes to media ownership laws - introduced by the Turnbull government - will likely see it pass. Following completion of the proposed transaction, Nine shareholders will own 51.1 per cent of the combined entity with Fairfax shareholders owning the remaining 48.9 per cent. The combined business will include Nine’s free-to-air television network, a portfolio of high growth digital businesses, including Domain, Stan and 9Now, as well as Fairfax’s mastheads and radio interests through Macquarie Media, according to the ASX statement. CMO reached out to industry commentators to gauge their reaction. WPP A/NZ executive chairman media investment management, John Steedman, told CMO the Nine/Fairfax merger is “not surprising” given there’s been industry speculation this would happen since the reform changes governing media ownership were introduced by the Turnbull Government. “In a media environment which has fragmented significantly over the past five years and with the likes of Google and Facebook securing a significant proportion of the digital advertising pie at the expense of local publishers, this move is important for the longer term health of local media players. Like Steedman, Ogilvy chief strategy officer, Toby Harrison, believes this translates into business opportunity for marketers. "While it doesn't quite make them all-powerful, this merger certainly creates a media company of enviable influence. This could be a magnificent opportunity for marketers to use the whole media canvas in a genuinely integrated way. Or it could be the makings of another unwieldly and bullish media behemoth. Personally, I'm optimistic that it will be the former." Meanwhile, Ogilvy Australia chief executive, David Fox, said from an advertiser's point of view, this is an “excellent opportunity” to buy fully integrated media buys with one provider. “It will provide an excellent reach at an effective price for the right brands. It does, however, raise a question mark over the integrity of the news media and whether we can avoid the bias so prevalent in the US media today. The US model is worrying for any democracy and we don’t want to create a mini version of that horror show." As reported earlier in CMO, the Australian Association of National Advertisers (AANA) is cautiously optimistic. 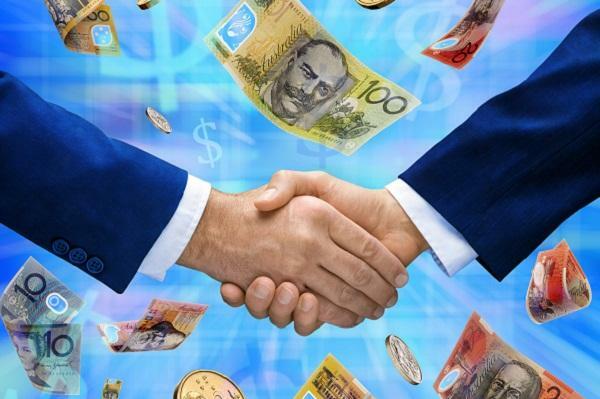 “We’re optimistic the Nine-Fairfax merger will create more value for advertisers, but we still need to see more detail to ensure that the deal enhances, rather than diminishes, the consumer experience,” AANA CEO, John Broome, said. “The Nine-Fairfax deal brings together two of the largest digital audiences in the country, as well as big print, streaming, free-to-air and radio audiences. Assuming the deal receives regulatory and shareholder approval, the new company will have an opportunity to provide advertisers with access to quality, segmented audiences on a mass scale. “It’s the first major consolidation in the media sector since the Federal government dropped its two-out-of-three rule last year and we can expect to see other major moves. “The Nine-Fairfax deal brings together two of the largest digital audiences in the country, as well as big print, streaming, free-to-air and radio audiences. Assuming the deal receives regulatory and shareholder approval, the new company will have an opportunity to provide advertisers with access to quality, segmented audiences on a mass scale."